MONTEBELLO — The 2018 Student Ambassador Program application is available at the Montebello City Hall, City Clerk Administration Offices, 1600 W. Beverly Blvd., and from local high schools. The completed application can be delivered to the City Clerk’s Office or mailed to P.O. Box 633, Montebello, CA 90640 before 5 p.m. on Thursday, March 15. 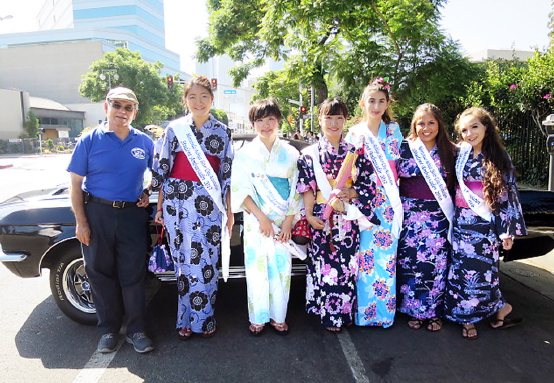 The Montebello-Ashiya Sister City Association (MASCA) seeks full-time students between the ages of 16 and 21 who want to learn the Japanese culture with host families in Ashiya City, Hyogo Prefecture for three weeks during July-August. Three ambassadors will be selected; two student ambassadors will travel to Japan and the other remains in Montebello to host the two Ashiya student ambassadors while they are in the city for three weeks. Each student must reside in Montebello and be enthusiastic, sincere, friendly, cooperative and considerate. Applicants do not need to attend a Montebello Unified School District school or have Japanese language knowledge. MASCA supports the Student Ambassador Program with membership dues, fundraising activities and donations that covers the costs of the two students’ airfare to Japan and some of the expenses of the six host families in Montebello. MASCA is a nonprofit community organization. For more information, visit http://montebellosistercity.wixsite.com/classic-layout or contact Michael Okamura at (626) 840-8409.